This is the third strategic plan in EAC’s history. 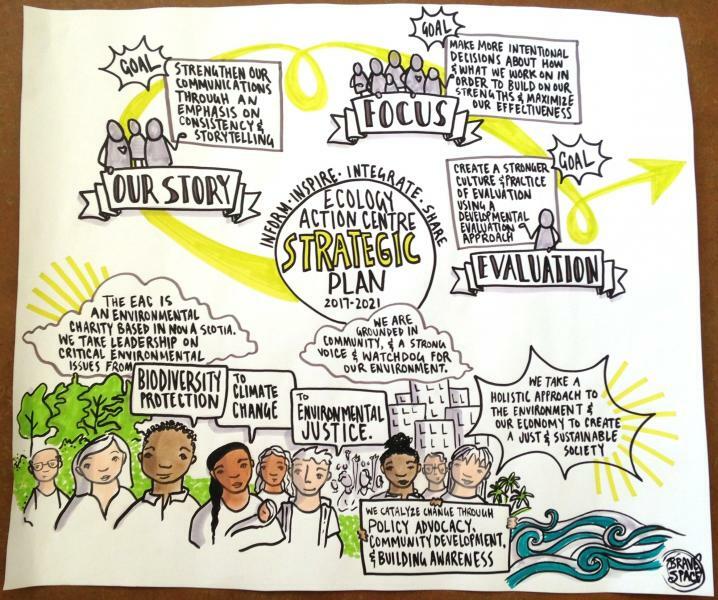 Our original objective for the plan when we started the process in June 2016 was to “develop a practical and cohesive description of how we work, what we’re good at and what we will focus on so it can inform and improve our work and provide inspiration.” We embarked on a collaborative process to develop the plan, engaging our board members, staff, and volunteers for input along the way. By March 2017, we arrived at a set of three strategic priorities, with specific objectives and action plans for each, intended to guide the organization for the coming 5 years. We hope it will inform, inspire and improve our work by helping us be more integrated across action areas, helping us focus on what’s most important and what we are good at, and strengthening our ability to share EAC’s story and successes. Click here to read the full plan!